Dr. Matthew Silverman is a board-certified OB/GYN with 25 years of experience. He graduated from New York Medical College and completed his surgical internship at Northwell Hospital in Manhasset, New York. He then went on to Obstetrics/Gynecology residency at Brookdale Hospital Medical Center in Brooklyn and was elected Chief Resident in his final year. Dr. Silverman is currently President of Boro Park Ob/Gyn, as well as Assistant Professor at Maimonides Medical Center and Mount Sinai Medical School. He is a fellow of the American College of Obstetrics and Gynecology and the American College of Laparoscopic Surgery. Dr. Silverman is a legacy physician. His family’s commitment to the community spans two generations. Dr. Silverman’s father, Sydney Silverman, was also a highly experienced and dedicated OB/GYN physician in Brooklyn for 40 years.Dr. Silverman specializes in treating women who have had multiple C-sections or several miscarriages, to conceive and deliver healthy babies. He is qualified to treat high and low-risk obstetrical patients as well as provide gynecological care. 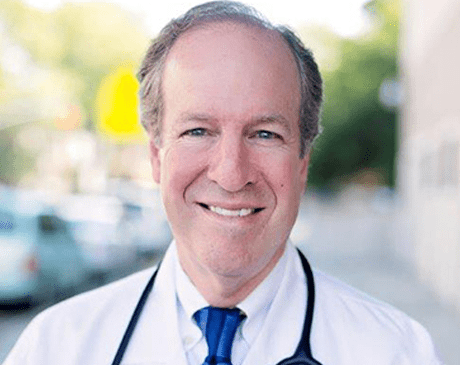 Dr. Silverman is our senior physician who performs a wide spectrum of gynecological surgeries at both Boro Park’s Surgical Center and Maimonides Hospital. Dr. Silverman is an integral part of the high-quality physician staff of Boro Park OB/GYN.